Online shopping trend is increasing more and more each year. Recent surveys found that over 25% of people purchase something online at least once a week. This increase in popularity automatically translates into an opportunity for any business. Having an online presence and putting your products and services in an online store will give you the opportunity to reach many new customers and maximize the potential of your business. To start and run a successful e-commerce business, you need to select an appropriate shopping cart software first. There is a wide range of solutions available and it is quite hard for most business owners to make a right decision. Two very popular options are WooCommerce and PrestaShop. Both can be used to run an online store successfully, but they work in a different way and both have benefits and some drawbacks. WooCommerce was released by the theme developer WooThemes back in 2011. Later, in 2015, it was acquired by Automattic, the company that owns WordPress. WooCommerce is by far the most popular e-commerce platform in the world that powers millions of online stores. WooCommerce makes it super simple to add an online store to your WordPress website by installing the plugin. WordPress is the world’s biggest CMS that is the perfect platform to build any type of website and, with a few clicks, you can transform it into a beautiful and functional online store. 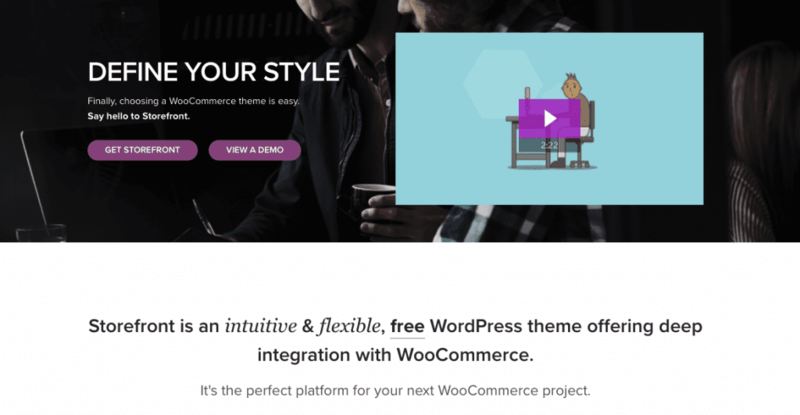 It is with a reason why WooCommerce is considered to be the best e-commerce solution for WordPress (and in general). When you install it, you will get all the necessary tools that you’ll need to run your online store, including: various shipping and payment options, products, order management system, marketing tools, business reports, etc. Since it is based on top of WordPress, it also has the best blogging features so you can properly work on your content marketing and SEO. The theme editor is user-friendly and we must note that, unlike most of the other e-commerce plugins for WordPress, WooCommerce is nearly error and bug-free. It is also constantly updated and maintained. WooCommerce has been on market for many years now, so it is considered to be a very stable and mature solution that can be used by small and large stores and it can be scaled to any point. PrestaShop is an open source e-commerce software that is completely free to download and use. It was created back in 2005 in France. There are over 250,000 live stores using it at this moment and it originally gained popularity because of an intuitive dashboard and rich default functionality. It is very user-friendly and comprehensible as well as simple to navigate and you shouldn’t have too many problems with it. Because of this, day-to-day usage will be easy and your customers will have a pleasurable shopping experience. The main difference between PrestaShop and WooCommerce is that PrestaShop is an independent e-commerce software, while WooCommerce is a plugin for WordPress. PrestaShop can be scaled and you can create any number of products. This is a good thing to keep in mind when you need to expand your store. Convenient inventory management tools will give you a good control over your stock. There’s also an option to run multiple stores via one dashboard which can come in handy if you have more than one store. If you need a feature that didn’t come by default (like Facebook integration, payment gateway, etc. ), then you can easily add it with an extension that you can get from an official marketplace. PrestaShop is an open source platform, so the possibilities for store design are unlimited. PrestaShop also offers some SEO tools that will help you rank in Google’s search results. WooCommerce is definitely the best way to turn your existing WordPress website into an e-commerce store. Since WooCommerce is a simple (but powerful) plugin for WordPress, it needs to be installed just like any other plugin. Since it is a free and open source software, you don’t need any licences and there are no recurring monthly fees. When you set up your WooCommerce store, you’ll be able to sell anything – physical products, digital products, services, subscriptions, bookings, etc. You will also have the option of installing WooCommerce specific themes that were tailor-made to make every aspect of your online store look just great. The place to start would be Storefront, which is the default online store theme. The integration between WooCommerce and Storefront is perfect since it is built and maintained by WooCommerce. If you want to customize the look of your online store even further, you can choose one of many child themes for Storefront and most of them cost $39. 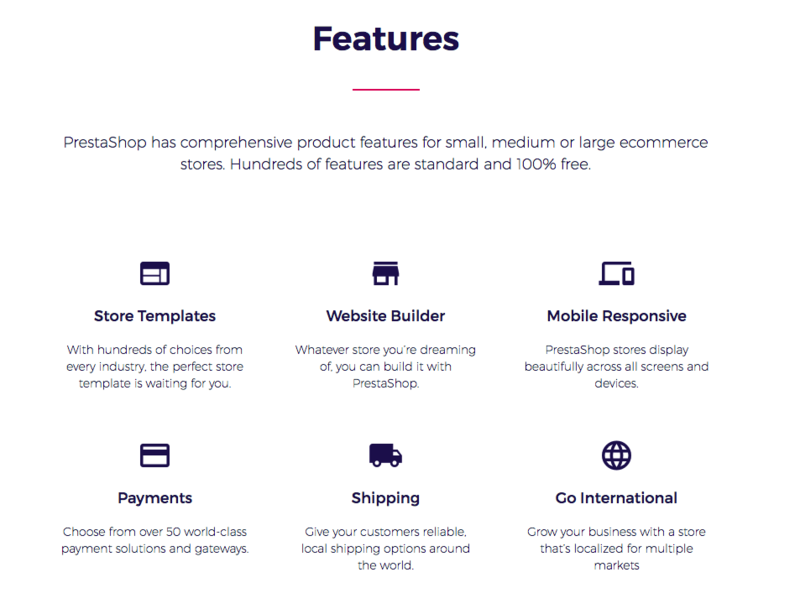 With PrestaShop, you can create your online store for free from scratch or use one of the free templates. Otherwise, you will have to buy a theme and there are a lot of themes and templates available – 1,300+ on their official website and thousands more on third party websites. The premium templates look professional and high quality, but the most of templates that you can get from third party websites don’t really compare to the look and quality of premium templates. The price for templates that were developed by community range from free up to $300. 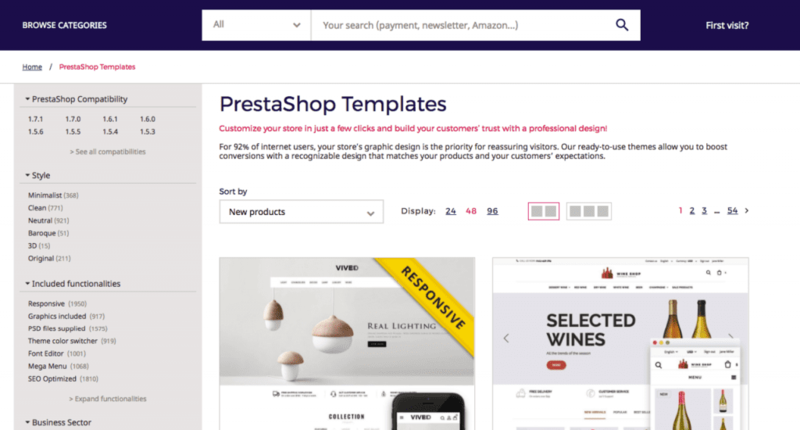 PrestaShop offers themes from certified partners, and the price starts from around $84, and premium templates price can start as high as $150 which is pretty steep. Installing a theme will have its set of challenges. Unless you have plenty of technical experience, you will definitely need to hire a professional. Overall, PrestaShop is suited for those with coding skills. When you are about to purchase a theme, make sure to look for mobile responsive options because not all of the themes are responsive. This will make your life easier later on and you won’t have to pay someone to make your store responsive later on. WooCommerce has a serious advantage over PrestaShop when it comes to themes and design. PrestaShop has some good themes, but compared to WordPress and WooCommerce themes, they cost too much. The selection of themes is also on the side of WooCommerce because you can easily find some incredible themes for all sorts of purposes and industries. 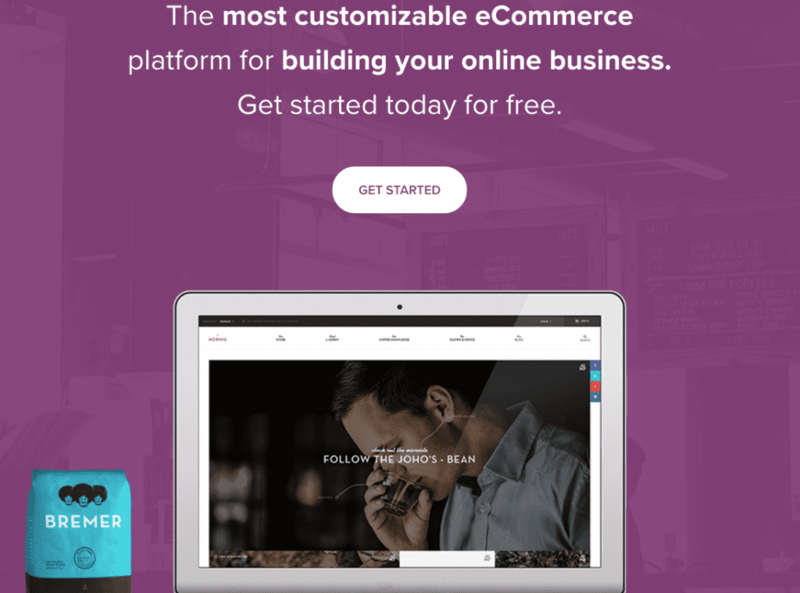 WooCommerce is a free plugin for WordPress that allows you to transform your current website into a fully functional online store. Since the plugin is free, you will just have to cover other basic things that come with running any website. First, you will have to cover a monthly hosting bill which can be as low as $4 per month, but it will vary depending on the size of your website and the monthly traffic. Second, you will have to buy a domain which is $10 per year on average. After the initial basic expenses, you have to factor in the additional extensions that you will need to buy for things like payment gateways, SEO, and so on. The price for extensions will vary, but it is usually around $49-79. Since you are basically on WordPress, you have tens of thousands of plugins available for free so you’re going to save a lot by using WooCommerce because, with PrestaShop, the prices for all of this are going to add up very quickly. PrestaShop is an open source software and it is free to download and use. You can also check out their demo so you can explore the dashboard and storefront. Every store will have an ongoing expense which will depend on many factors. PrestaShop is not that easy to install and use and its modules will interfere with one another, leading to a glitchy store. If you don’t have the necessary coding knowledge, then you will have to hire web developers and designers to fix each issue. Add-ons and modules usually come at a big price because that is how PrestaShop makes its money. For example, you will pay a pretty penny if you want to integrate your online store with Facebook, QuickBooks, Amazon, etc. PrestaShop might be free to get started, but the additional and recurring costs will quickly add up. Every additional function and upgrade of your website will be very pricey. Plus, if you are not very tech savvy, you will definitely need to hire a developer to help you set up and run your store since it is not as easy to do those things when compared to WooCommerce. WooCommerce has the same basic costs of running the website but it has so much more to offer in terms of free plugins and much cheaper themes and extensions. You also don’t need to hire a developer for everything that you need to do, so overall by going with WooCommerce, you will save a lot of money in the long run. The great thing about WooCommerce is that it is nearly error and bug-free. Developers are doing a great job of maintaining and updating WooCommerce and new versions are released all the time. Because of this, you won’t find yourself looking how to fix a bug in your store. WooCommerce provides a comprehensive support documentation that is easy to navigate and you are very likely to get an answer to your question there. Since WooCommerce is a free plugin for WordPress, the main spot to get help is through the official WordPress forums. You also have the option to go to the WooCommerce website, create a free user account there and submit a ticket. The support is very helpful and they will resolve most of your issues. Since PrestaShop is open source, anyone can contribute to it and create add-ons. This means that customer support can be complicated since it is nearly impossible to have a support team who can answer all questions about the software that is constantly changing. 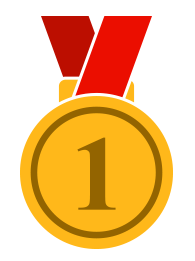 Your best bet would be the community forum and there you will find users who are ready to help you out. Many users are actually developers and they like to solve problems, but there is also many entry-level users that won’t be of much help. Next, you might want to look at user guides for help, but some of them are 500+ pages long. There’s the option to submit a ticket, and the wait time can be as long as 5 days or more. When submitting a ticket, get your hopes up because it is nearly impossible to get a concise answer. PrestaShop documentation lacks some essential elements that would help store owners to fix their problems quickly. The support plan is also available on PrestaShop, but the cost is outrageous and you are limited to only several hours of help per year. For example, the plans range from $33 per month to $116 per month and you must sign up for a one-year minimum subscription. At the cheapest plan, you get a whole six hours of support for that year. We suggest that you don’t waste time with this option because it is way overpriced for the miniature amount of support they provide. The last option is the live chat that you have available when you visit the PrestaShop website. If you start a chat, a PrestaShop representative may or may not answer. Most chats with support will be a sales pitch by them and won’t answer any of your questions and the chat is likely to end with them sending you a user guide. PrestaShop is not designed to work with other modules, themes, and add-ons on the market and with open source software, you can’t have high expectations when it comes to customer support. If you need to have a support available for you, then PrestaShop isn’t for you. WooCommerce offers a better support, mainly in the form of great documentation and WordPress forums that has an incredible community of people. You can also head to WooCommerce website and submit a ticket and the staff will get back to you and help you out (while that is not exactly the case with PrestaShop). 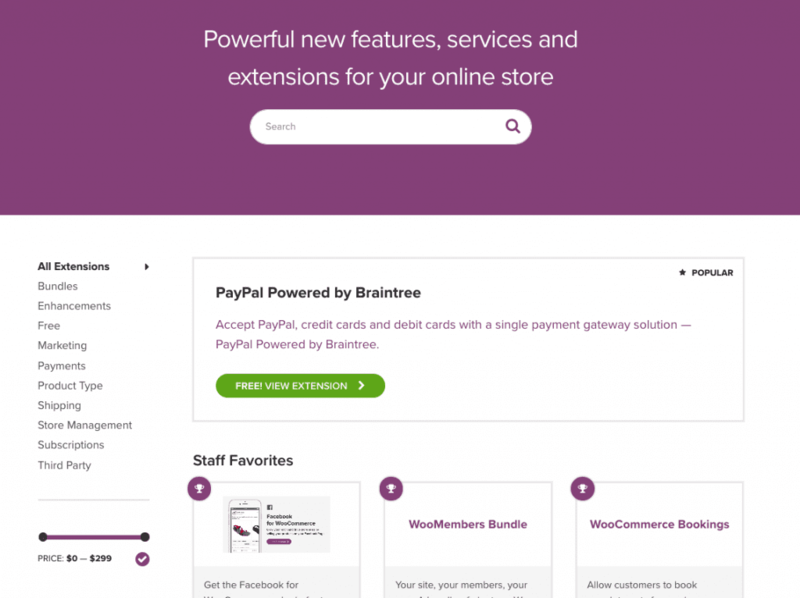 From analytics to order fulfillment, payment processing, accounting and many others, WooCommerce lets you integrate different extensions in your store. There’s a massive library of free and paid extensions and add-ons that will allow you to add any functionality to your online store. WooCommerce lets you install third-party plugins and extensions and it doesn’t limit your choices like other shopping cart plugins. Some of the most popular extensions include ones for payment processing (PayPal, 2Checkout, and Amazon), accounting (Xero and FreshBooks), and shipping (FedEx and UPS). What’s even better is that WooCommerce works seamlessly with plugins and extensions offered by WordPress and even third-party developers. This means that you won’t have any problems with extensions not working properly together. You’re sure to find what your online store needs in PrestaShop add-ons marketplace. The integrations are usually a one-time purchase. Modules range from payment security extras to advertising tools. The price for add-ons can be from $20 to $50, but many others cost much more. For example, to sell on Amazon and manage your inventory from PrestaShop dashboard, you’ll have to pay $215, and the eBay integration will cost you the same. So, the cost for add-ons will really add up over time. There is another disadvantage to these third-party add-ons and that is the fact that they were made by different developers and are not guaranteed to work together. This will lead to glitches in your store and reduced usability. PrestaShop support usually won’t be able to help you with this since they didn’t create the add-ons. Both WooCommerce and PrestaShop offer a plethora of plugins and extensions that you can use to implement additional functionality on your online store. WooCommerce has an advantage here due to a few reasons. WooCommerce has a lot more free plugins available since it is built on top of WordPress. They also work seamlessly together and are stable, which can’t be said for PrestaShop as many add-ons and modules conflict with each other. There’s also the issue with PrestaShop module pricing which will cost you much more than WooCommerce extensions. You can’t really beat the flexibility of WordPress because you’re not comparing just WooCommerce and PrestaShop but also WordPress and all that it has to offer. Because of this, WordPress has many more features available to you that other platforms like PrestaShop simply don’t. This means that if you need a great SEO plugin, you can simply go and install one for free. With the freedom of WordPress’s platform, you can create a professional and efficient online store very easily. WooCommerce will allow you to sell physical and digital products, plus you can also use it for affiliate marketing. There’re many payment gateways available, including PayPal and Stripe. You can adjust your shipping rates per carrier and also applicable taxes. WooCommerce allows you to upload an unlimited number of products and categories and you can easily fullfil orders as well. WooCommerce will allow you to use the familiar WordPress interface so day to day tasks will be quite easy to do. WordPress interface is very intuitive and will allow even beginners to pick up the pace quickly. PrestaShop comes with many features already built-in, and you will have all the basics that you need to start. The platform is integrated with all major carriers like USPS, UPS, and FedEx, so your customers can choose the option that they like. PrestaShop allows you to add unlimited products, images, categories, and product features. You can also manage your inventory and make use of inventory tracking and alerts. There are some SEO features implemented like Google sitemap, but it is not on the level of WordPress and WooCommerce. Your customers will have multiple payment options like wire, check or credit card through a third-party payment processor. PrestaShop gives you real-time analytics, but you can always integrate your store with Google Analytics. You can also run promotions and apply them to specific products and regions. The PrestaShop dashboard shows all important management statistics and several tools for managing your products and catalogue. The dashboard is fact and stat driven and the core focus is the graphs so everything looks very modern. You will have all the necessary stats for sales, conversion rate, and visits displayed clearly and things like managing customers, orders, and shipping are few simple clicks away. Both WooCommerce and PrestaShop can be used to sell physical and digital products. They also offer simple tools for product management, analytics, and order fullfilment. As the time goes on, you’ll want to explore other avenues and expand your store’s functionality. WordPress come with thousands of plugins and extensions so you can’t really beat that. 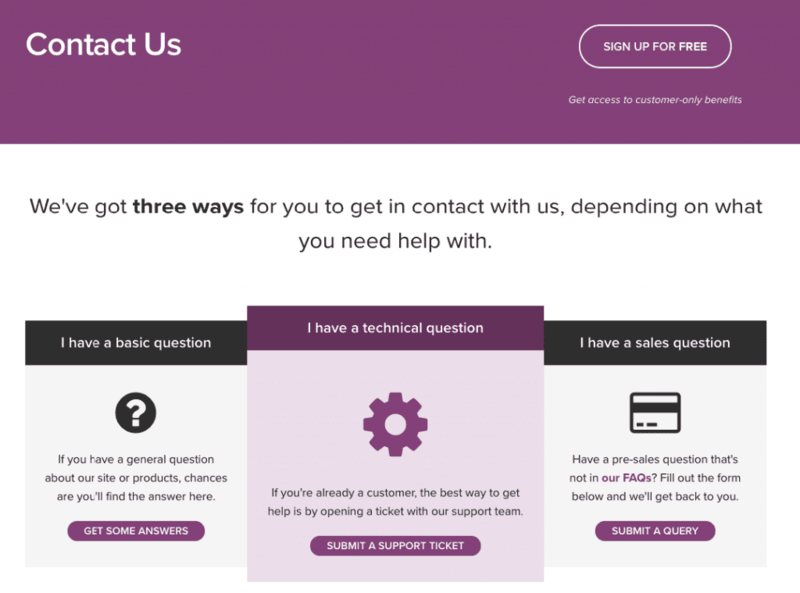 Whether you want to work on and add live chat, promo codes, customer reviews, or social media shares, you can do that easily and in most cases free with WooCommerce and WordPress. You can also do all that with PrestaShop, but it will usually come at a higher price so that would be the trade-off. Making the right choice when choosing the best e-commerce platform is crucial. Switching platforms later on is a nightmare so you need to take into the account every point of the comparison. 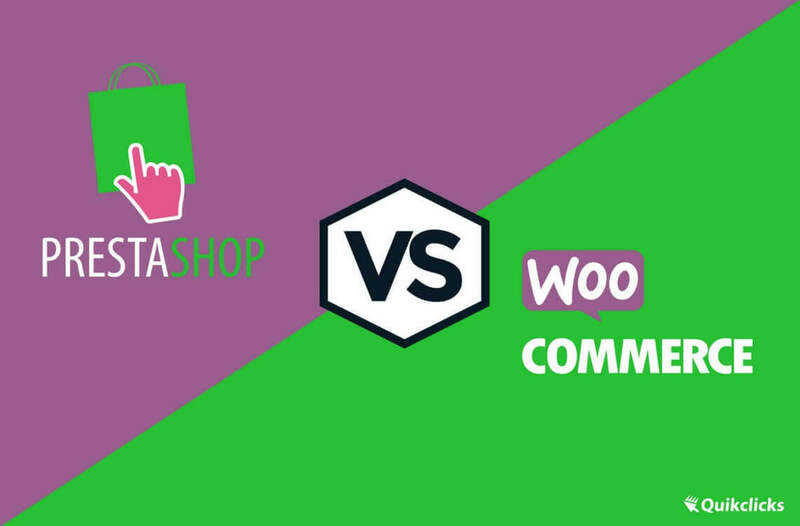 When we look at each point like design, pricing, add-ons, and customer support, we can see that WooCommerce is vastly superior to PrestaShop. WooCommerce offers better design and themes have a lower price as well. Themes for PrestaShop have a steep price, plus you’ll need to hire someone to install it properly. Basic pricing is similar for both, but when you look at other aspects and long-term expenses, WooCommerce will be a much cheaper solution. WooCommerce also offers many plugins that are free and they all work flawlessly together which is not the case with PrestaShop as modules cost a lot of money, plus often they will not be compatible and will give you trouble.